Providing dependable and compassionate care.  The people and practices at Joya Child & Family Development are the driving force behind the care, comfort and transformation we provide children aged 0-3 with delays and disabilities. We provide comprehensive services and a personalized comprehensive program of assessment, therapy, education and support. This devotion is what allows us to make a lasting impact in children’s lives. The resources we provide, in concert with comprehensive care for children and their families, drive change in our community. Cami came to Joya after working in the field of Medical Social Work for five years. In her role, Cami connects families with the services and resources they need to be the best advocates for their children. Originally from Omak, Washington, Cami enjoys camping, horseback riding and sports. Tara has lived in Eastern Washington her entire life. She is from Cheney. She enjoys reading, arts and crafts and spending time with her family. She has been working with children and families since 2003.